What is the Purpose of the Stainless Steel Swing Bin? The Stainless Steel Swing Bin is designed for the disposal of all varieties of waste, including both trash and recyclables. This bin can accommodate relatively large amounts of waste. The swinging lid is particularly useful for preventing overflow of waste or escaping odours. The lid also extends over the side of the stainless steel bin to hide bag overhang, for a clean and professional look. This bin can be used anywhere that waste or recyclables need to be disposed of. 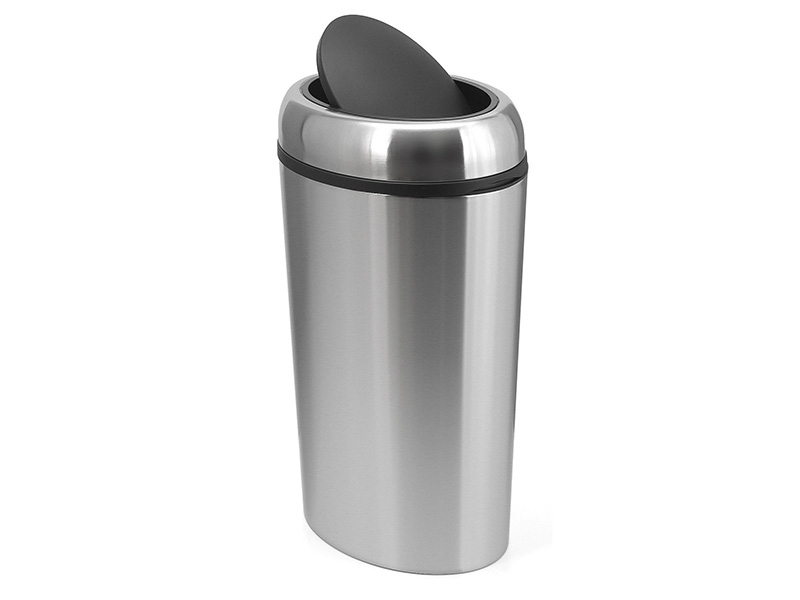 Its large capacity and attractive stainless steel finish make this bin great for use in the workplace. This product can be placed in restrooms, conference rooms, lunch rooms, and any other high-traffic areas in the office. 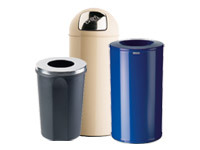 These bins will provide a convenient place to dispose of waste in these areas, and their attractive design will allow them to blend in with any decor. These bins might also be used in public buildings, such as libraries or government offices. These bins are versatile, and their swinging lid makes disposal quick and simple, and it also prevents overflow. This stainless steel bin can be used almost anywhere. Almost anyone might dispose of their waste in this bin, but business owners in particular might want to purchase this product for the workplace. School administrators might also purchase several waste bins to place around their schools. Once purchased, custodians and other cleaning staff will appreciate how easy it is to use this stainless steel swing bin is. The lid easily covers bag overhang, and the swinging lid helps prevent waste from overflowing.